The Bang With Friends app for Facebook promises to “anonymously find friends who are interested in you, too!” This issue seems to be that Bang With Friends was anonymous until Graph Search got rolled out. Uh-Oh. Bang With Friends works on a simple premise. You click on your friends that you want to “bang” and other users choose their “bangable” friends; if two people choose each other, they are connected. Now, you can very easily find out which of your Facebook friends are using the hook-up app (let’s hope it’s not your boyfriend/girlfriend). 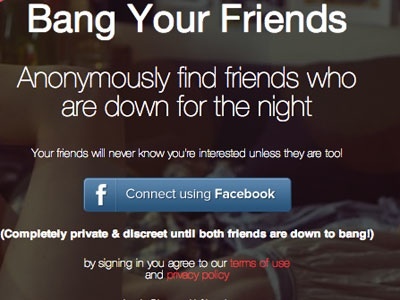 All you have to do is click on this link, and Facebook will tell you which of your friends are using Bang With Friends. 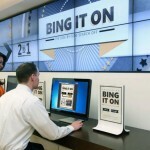 Facebook Graph Search has opened up the platform in new ways. Now is a good time to take a look at your app settings page and make sure that your private apps stay private so no one can see who you want to bang.